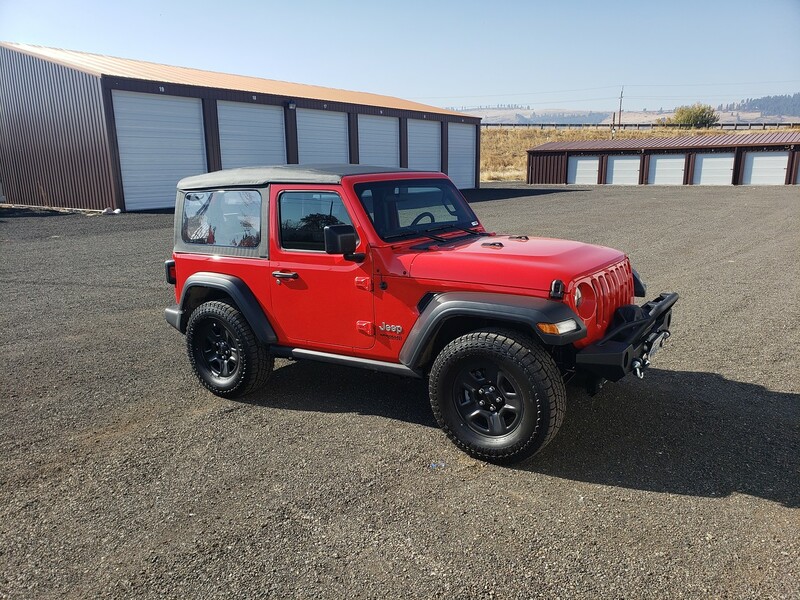 I have a new Jeep Wrangler JL sitting in my shop. 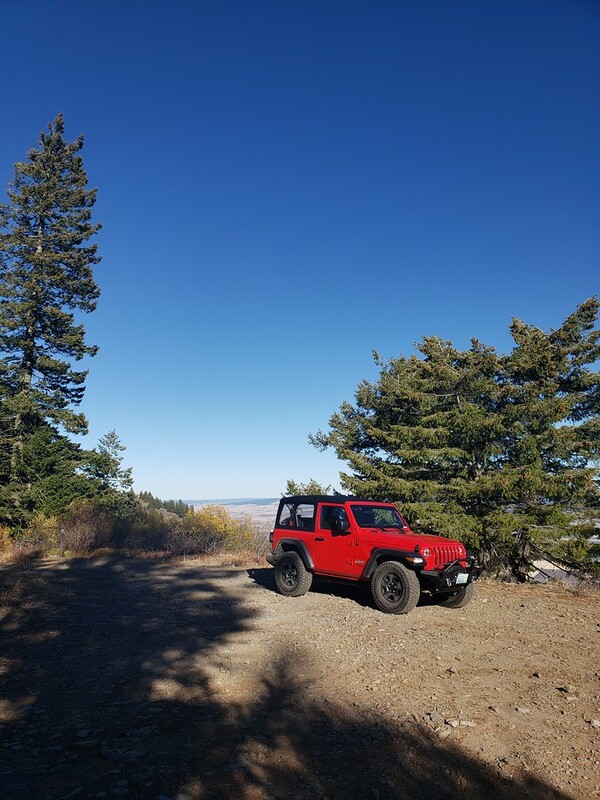 I have owned Jeeps for most of the last 30 years and really don't like being without one. We had a 2017 JK Unlimited 4 door with everything but leather. It was great for getting groceries or hauling the grandkids, but there was something lacking in the soul department - it just did not speak to me. My wife bought a new high gas mileage DD, so she had quit driving the Jeep. I decided to get rid of it as we really do not need 3 new cars, but she reminded me that when Jeepless, I am usually looking to by one.....and she was right. So I did the logical thing, at least for me, and bought a base model 2 door. The only options are AC and limited slip. Yep, soft top, manual transmission, and roll up windows. How the heck is a guy supposed to survive with something like this? Very well I'm here to tell you! The base Wranglers now come with CC, PS, PB, AM/FM, and a tilt/telescoping steering column. The softtop is the quietest softtop I've ever had on a Jeep....nearly as quiet as the last one was with a hardtop. And so far I'm averaging 22 mpg. I've never been able to get over 17 mpg with a Jeep before. So all-in-all, I'm very pleased with it. 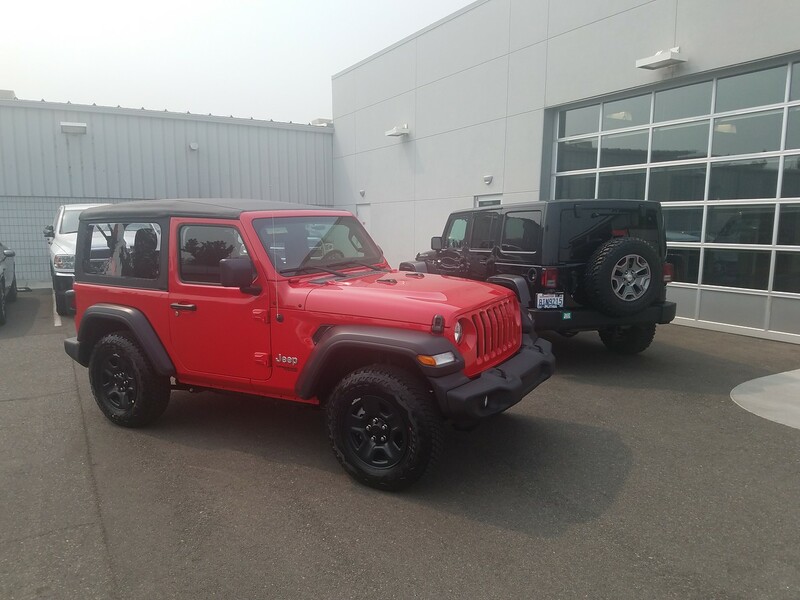 The new red one and the old black one on trade day. Might be the perfect touring vehicle......for me at least! A sweet new ride!! No other vehicle has retained it’s characteristic design for so many years. 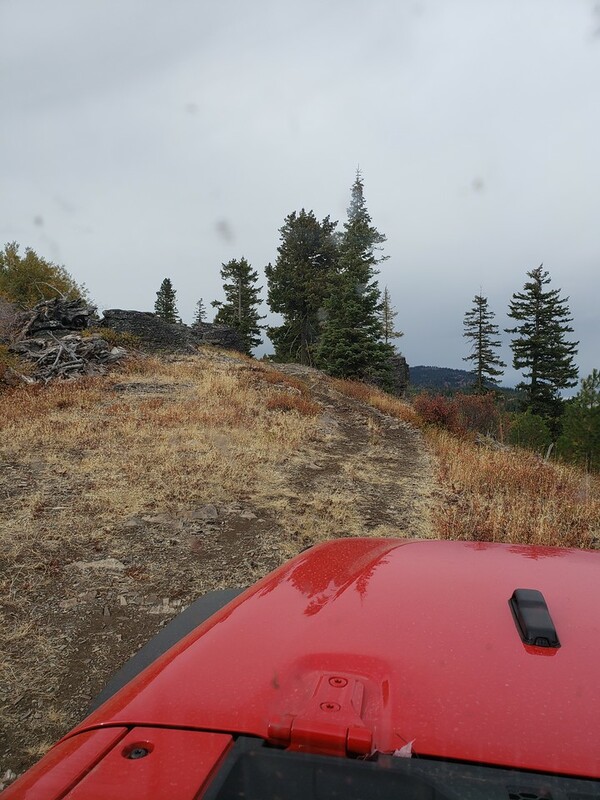 Sorry about the back…..that can be an awful barrier to just about every activity….but the new Jeep is an incentive to mend as quickly as possible! Nice ride Hutchman, but those tires have to much shine on them. You need to get off the highway and get a little bit of dust and dirt on them. It now rides on real Load Range E, 33" tires. It has a new front bumper, a new 9000# winch, a set of factory take off LED foglights, and factory Rubicon tock rails. It is becoming a fully functional backroads touring vehicle. My back is also better. 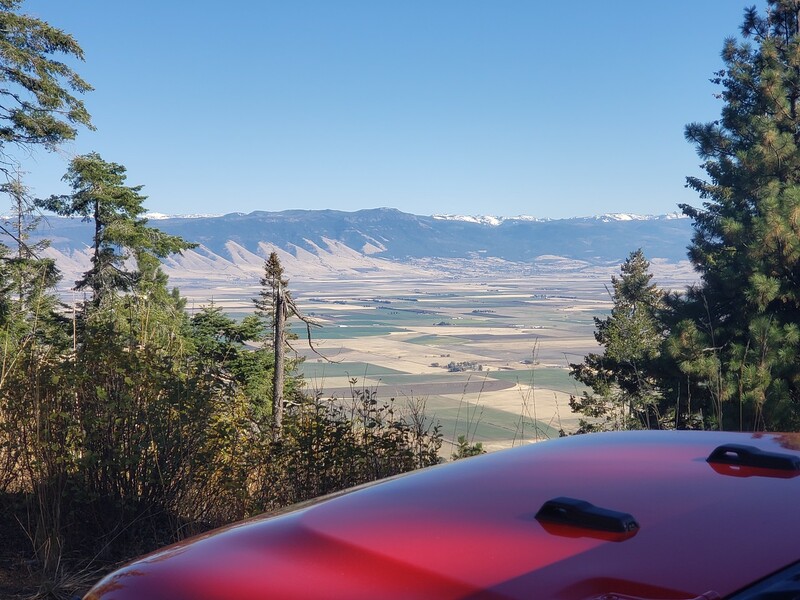 Some images from recently in the hills around La Grande, Or. Can't see much in this one, but the trail goes over and through the rocks above. I missed the line slightly and hit the frame HARD! 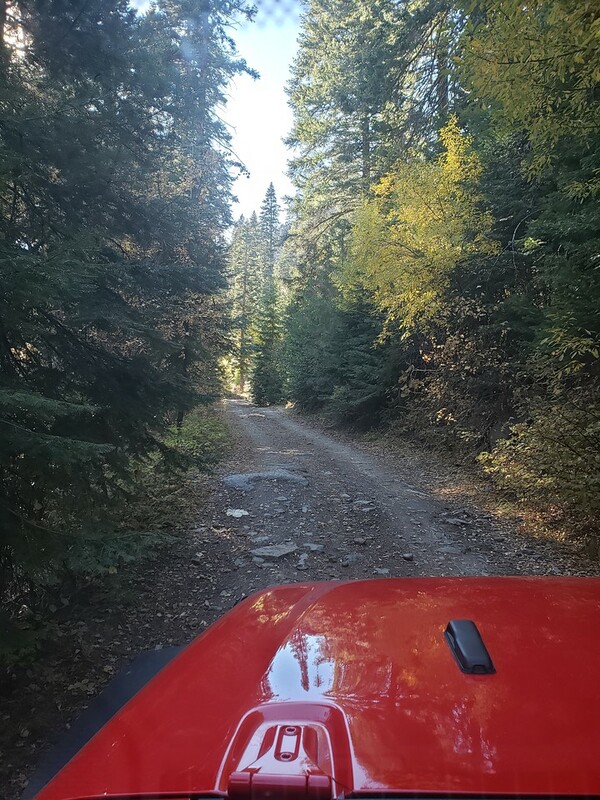 So I'm having some fun with the Jeep and when the back is healed, there are going to be ROAD TRIPS!. Planning on going to "The Henry Ford" next fall to feed my love of the automobile and interest in history! OH THE JOY!! I recall my days with my Toyota Land Cruiser. Of course it more often than not got me into places I had no business going with a wife and 2 year old. But truthfully, your photos practically brought tears to an old man's eyes. I wish you many more happy trails ahead!!! This thing makes me feel like kid. I'm 5 min or so away from some beautiful scenery and don't take advantage of it enough. The wet season is upon us and they close most FS Roads 12-1, so I need to make the most of it over the next month! Maybe do some cold weather camping before it gets too bad. Sometimes we buy vehicles to comfort ourselves, or our egos. But the best buys are those that expand our horizons, and enable us to do things we would not, or could not, do before. Your Big Red is a good example of the latter. Congratulations! 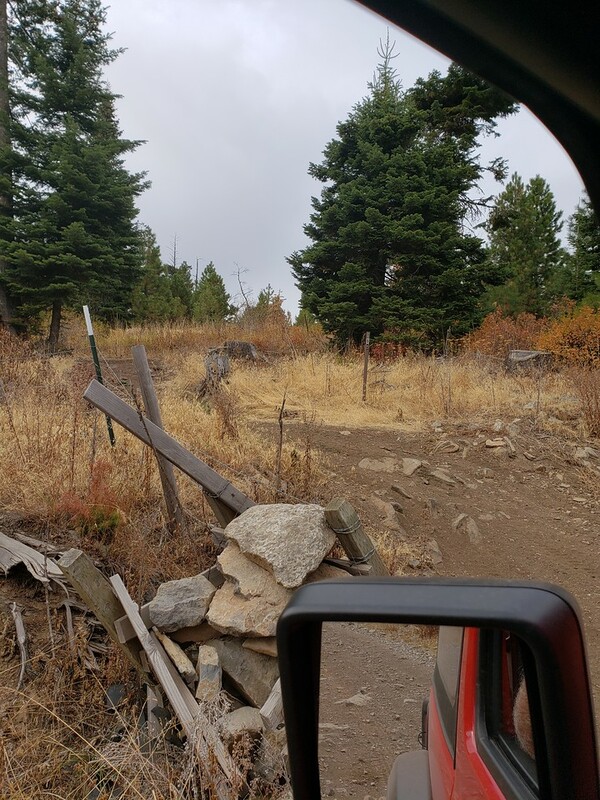 Eastern Oregon where I believe you live has terrific places to go, and a little early snowfall can really add to the beauty. You don’t need this advice, but I learned the hard way that a capable 4 wheel rig can also get you into big trouble if you are inclined to off road solo in the winter. So have a great time, and keep us up to date on your adventures.